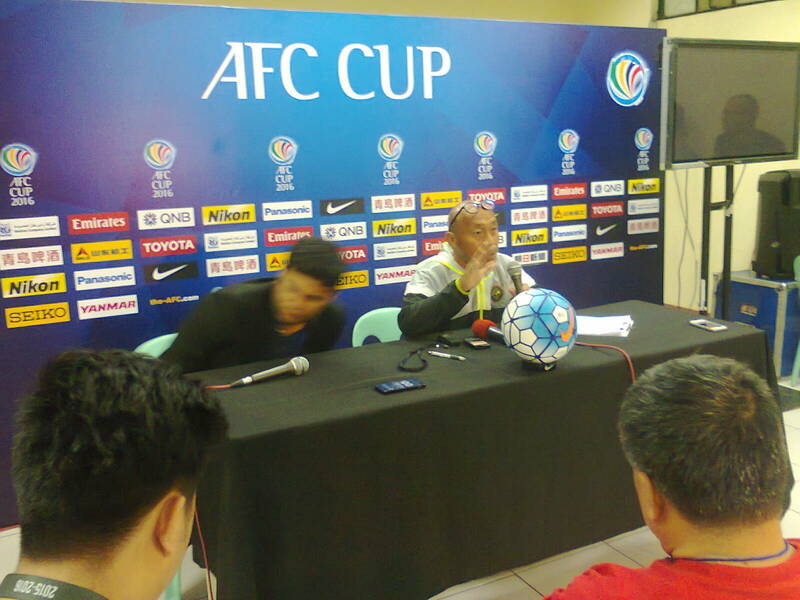 Speaking to the media after Kaya made another 1-0 win, this time against S-League's Balestier Khalsa, the designated gaffer for the tournament thanked everyone in the Rizal Memorial Stadium for their support. Despite the win that put the team to the top of Group F, he deflected most of the credit to Chris Greatwich for his tactical might and his coaching drive to push their men to the hilt to grab all three points. "Kulang kami sa atake," lamented Villarino, adding that they only scored two goals in their first three matches of the Cup. "Simple lang ang instruction. keep the game in the first half, and as much as possible we score a goal," Villarino added, and also quipped that the players are tired for the last fifteen minutes of this fixture. The manager also gave praise to the 1,200 people who turned up, especially the Sons of Mighty Kaya for their passionate support for the entirety of the match. "Hindi nila kami iniwan. Kahit nasa labas kami [of the country], they keep in touch with us all the time. Susuportathan kami, all the way. We had a good relationship with each other, we're one big family," he concluded. Striker OJ Porteria agreed and said, "The Ultras (SOMK) are unbelievable every single game, but they are ten times better during the AFC Cup."